OLD PARKED CARS. : 1984 Dehler Profi Vanagon. Exactly, this thing lived in my neighborhood for a a week or two and I thought nothing of it until Terrawagen Eric told me there were only 4 or 5 in the US. Are they rare and good? I have no idea, all I've found out so far is that they have a shower. Peep the brochure. Page 1. Page 2. 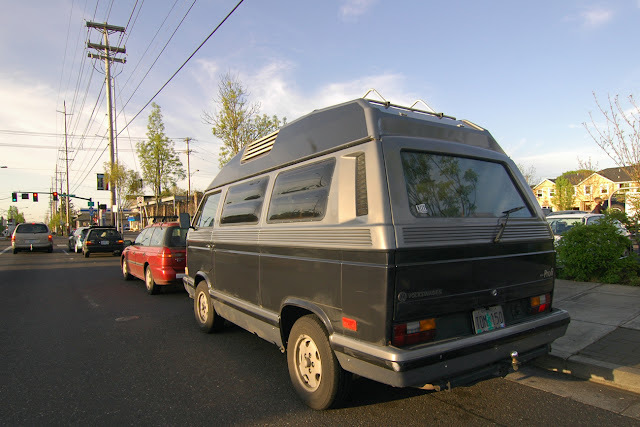 There was a high roof Syncro (awesome!) driving around here a couple months ago. Haven't seen it since. It looked about the same, but...were there high roofs that weren't as rare? 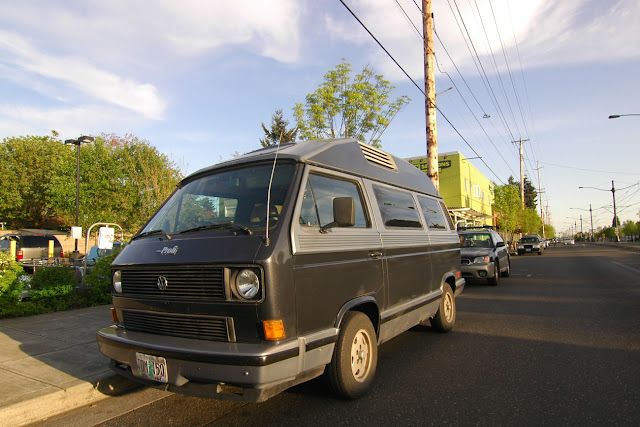 Anyway, looks like an awesome camper; love the color combo on this one. Dehler still exists, it's "Dehler Yacht Building" and quite famous worldwide for their yachts. Basically designing boat interior isn't much different from camper interior so I can see why they did it. I'm an American living in Germany for the last 3½ years. I have a T3 Bully (German version of the Vanagon). There is a huge community of T3 enthusiasts here, and the T3 is ubiquitous. 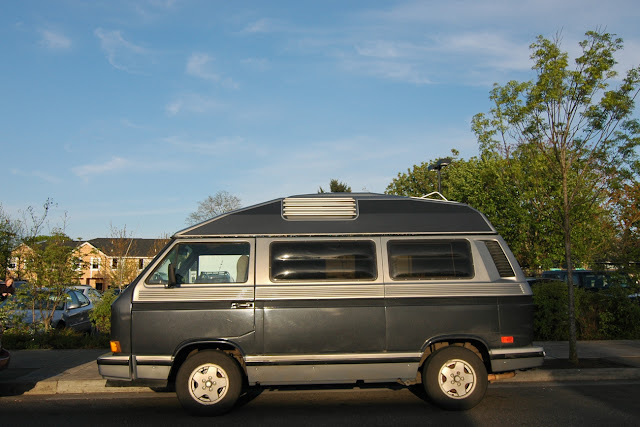 Nearly everywhere I go I see T3's with Westfalia or Reimo pop-up tops, several different styles of high-tops, etc. 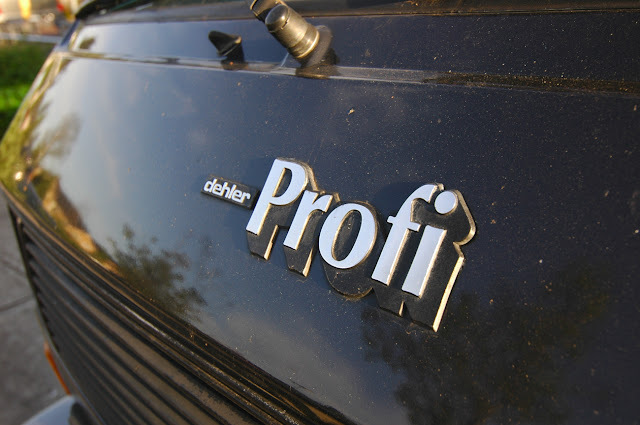 But to this day I've never actually seen a Dehler Profi. I know they exist, but they're rare even here in their primary market.